Visit our page on AirNav.com. Departing Runway 5: Turn left heading 020 degrees until reaching 1,000 feet, then on course. 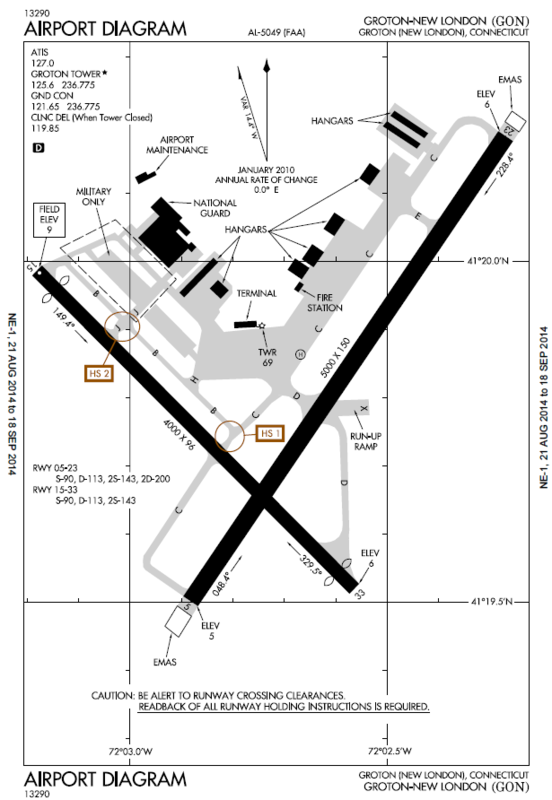 Departing Runway 23: Turn left heading 210 degrees until reaching 1,000 feet, then on course. Departing Runway 33: Fly runway heading until reaching 1,000 feet then on course. Runway 23 is the designated Calm Wind Runway. Aircraft operators are encouraged to refrain from touch-and-go operations between the hours of sunset and 8:00 am. No touch-and-go operations are permitted between 10:00 pm and 6:00 am. No maintenance run-ups permitted between 10:00 pm and 7:00 am, except when required to meet an early morning published flight schedule.